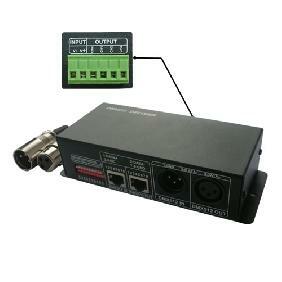 The decoder adopt the advanced micro-computer control technology and converted the DMX512 digital signal widely used in international to the analog control signal. 1~24 channels output for option and each channel able to achieve 256 gradations of controlling, and also it can be used as the connector of PC digital light controller and analog light modulator. 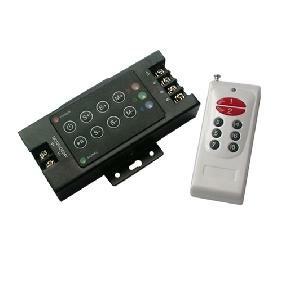 It is mainly used for the controlling of buildings & lights applied LED. Please see the operating instruction next page. 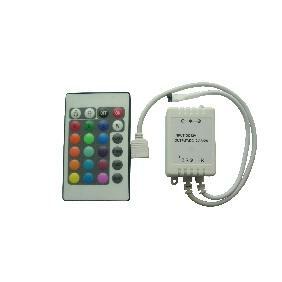 DC12~24V input，supplied power with the decoder and the lamps it takes. 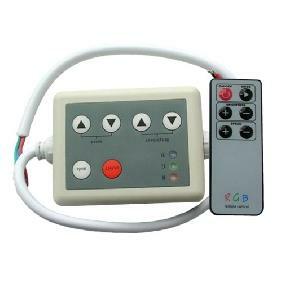 Common in anode-V+ and with 8pcs of V+ interface & 24pcs of R, G, B output interface. Not only does it apply to the various of LED module in full-color & mono color, but also it can self-trimming the output current based on the load of LED module. Connect the anode and RGB wire of common anode RGB module to the output interface of decoder directly; Connect the anode wire of single-color module to V+ on decoder, and connect the cathode wire to one of RGB pin according to the LED's color; Connect several colors single-color module to one decoder, please connect their anode wires to V+ pin on decoder. DMX signal cable used the CAT-5 cable，and DMX signal tells positive(+) from negative (-). 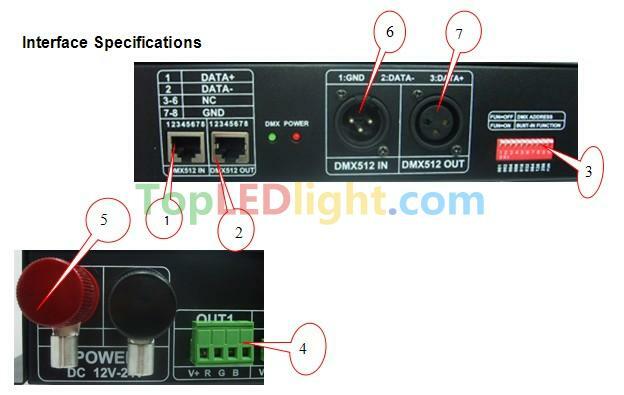 While welding the DMX signal cable plug, there must pay much attention to know positive (+) from negative (-), and then connect the DMX512 signal cable with the corresponding input interface of DMX512 decoder correctly. 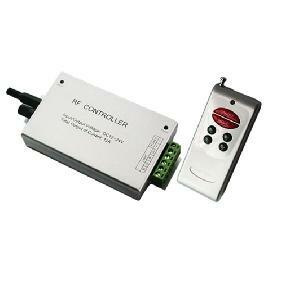 DIP switch of DMX512 decoder is with the function of writting the binary system and reading the DMX512 address code. 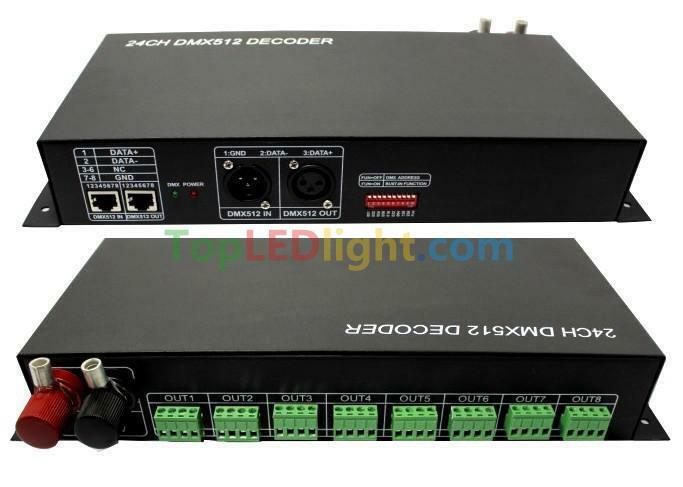 DMX512 decoder is a decoder with 24 channels, When it is on-line job, the second DMX512 decoder should be set the address code as the 25th channel. 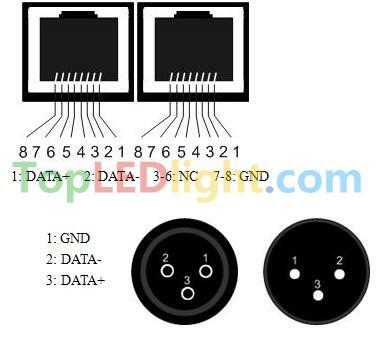 The 10th bit is TERM and will be the terminal while it is off.（Only used for the signals circuit setting）．The bits from1 to 9 of DIP switch are as the key of writing DMX address code, 1 is LSB and 9 is MSB; total 512 address codes. 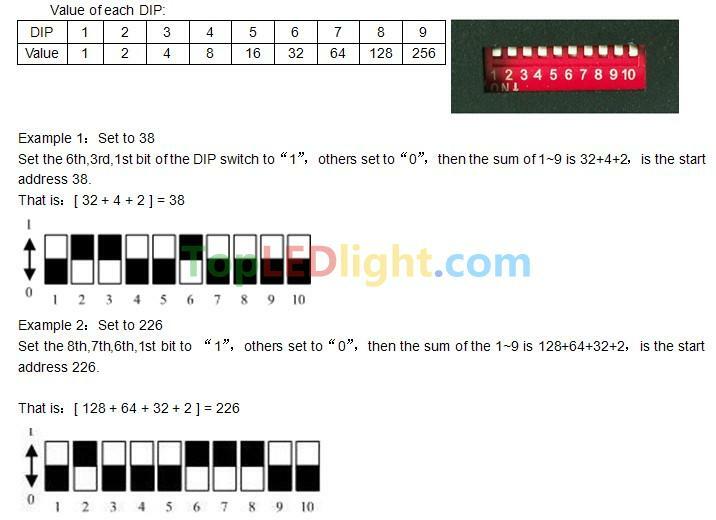 The initial address code is the DMX signal received by the No.1 channel of decoder, Calculational formula：[ Sum of 1~9 bits of DIP switch ] = DMX initial address code Set the n(th) bit of DIP switch up（set to“1”）to get the value of such bit; Set the n(th) bit of the DIP switch down “0”），so the value of this bit is 0. Note：The 10th bit is the terminal. 1, The input voltage should be limited in rated range. 2, Do not use it by over load. 3, Installed in suited environment. 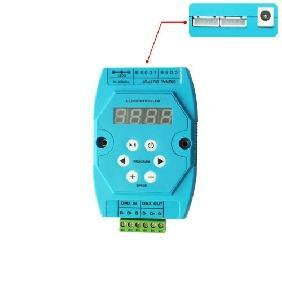 The reliable length of the line is 200m, please try to put the controller close to the decoder so as to avoid the signal become weak in using with the controller. 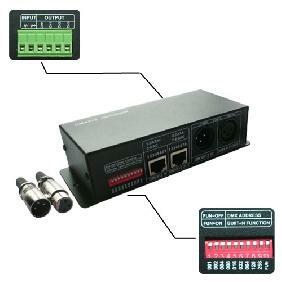 It is better to use one bus for the signal line, and join up with the in/out splice of the decoder. Please try to keep the decoder close to the light, if the light is over 5m, it is better to re-connect the light and decoder. If there are several lights connected in series, please make sure the splice is firm and impervious joint. 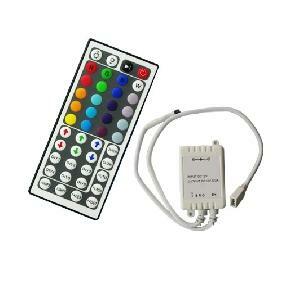 DMX512 Decoder 24CH Controller Dimmer 24 Channels for RGB LED Light DC 12V-24V Rating: 5 out of 5 based on 1 reviews.